Zebra ZD410 Healthcare Direct Thermal Desktop Printer: Get fast, dependable printing in your most space constrained areas with the ultra-compact ZD410 direct thermal printer. 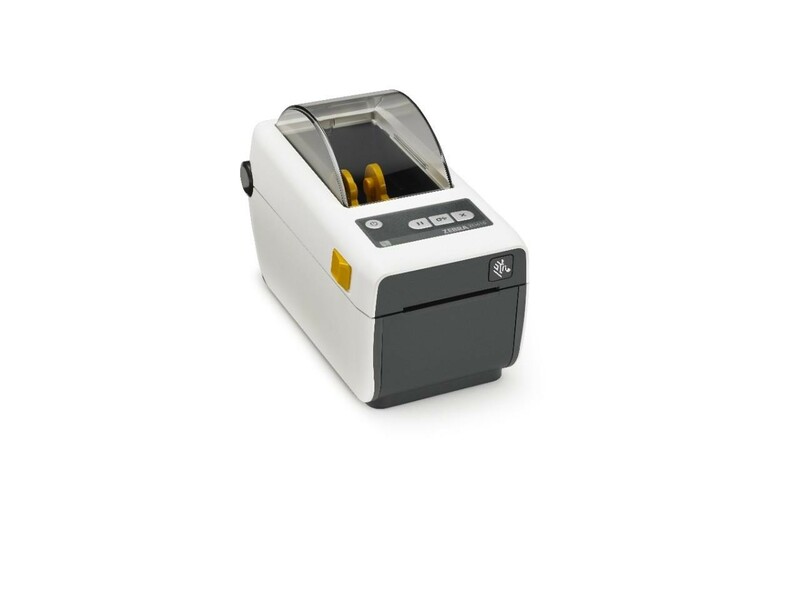 Designed for the smallest of work spaces, the ZD410 Healthcare lets you print high-quality labels, receipts, tags and wristbands wherever you need them. The many connectivity options make deployment a breeze. The ZD410 Healthcare model offers all of the features of the standard model plus disinfectant ready plastics and an IEC 60601-1 compliant power supply. Designed for hospital, clinic, laboratory and pharmacy applications, the direct thermal ZD410 helps to protect privacy by leaving no record on a ribbon of what has been printed. The optional 300 dpi print resolution is ideal for printing small labels. And the ZD410 is easy to use, operate and troubleshoot, maximizing printer uptime. The ZD410 — the little printer designed with big healthcare functionality.